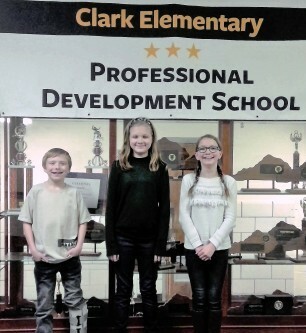 Clark Elementary students received recognition for their entries in the McCracken County Conservation writing contest. Clara Pierce won first place, Bailey Beyer won second place, and Max Tolar won third place. The theme was soil conservation. Students were asked address the topic in a creative way. Entries were submitted to the conservation office and they selected winners from each school.